Big Country, is a bull I purchased from Max as a yearling, used him for 2015 on my commercial heifers and cows. 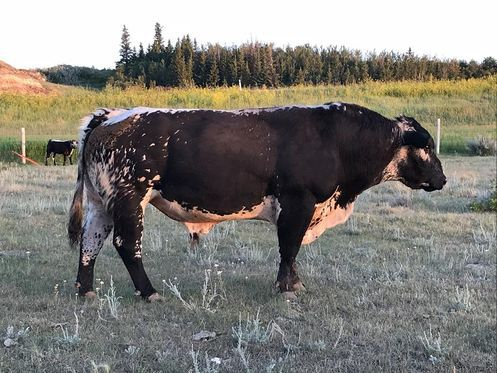 He is a great addition to the herd, he has now taken ylander's herd of purebred cows along with some top commercial cows so in 2018 we will have his purebred offspring. Black Tie is a bull I purchased from Uneeda as a yearling, used him on my Purebred and a few commercial heifers for 2016 calving season. He has been a great addition to the herd. 2017 he was with some purebred cows along with our young commercial herd. 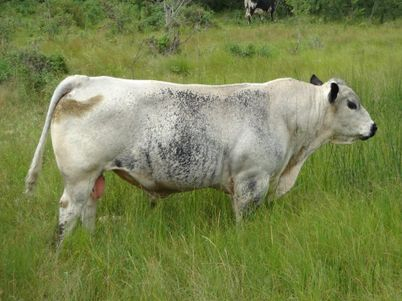 Bought this Bull from Par Ranch, he is a great heifers bull as not a big bull. Seems to through the color to his offspring. Retaining for in herd use as lost dam shortly after they went to pasture. So this young boy has done a great job growing without his dam.. He is working the field with some commercial cows and heifers. Retaining for in herd use as coming from great herd sire and dam, hopefully he will take over his father's herd in 2018. 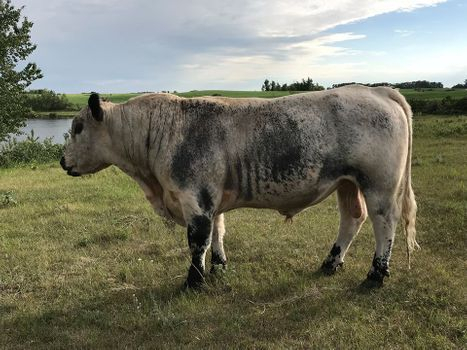 Simba is a bull I purchased as a 2 year old, who has sired many commercial offspring along with a few purebred since I bought him, he is getting up in years soon will be retired, but he has been a wonderful bull to handle and the master of the herd. 2017 will be his last year of breeding as he will be retired from the herd at the age of 10 years. 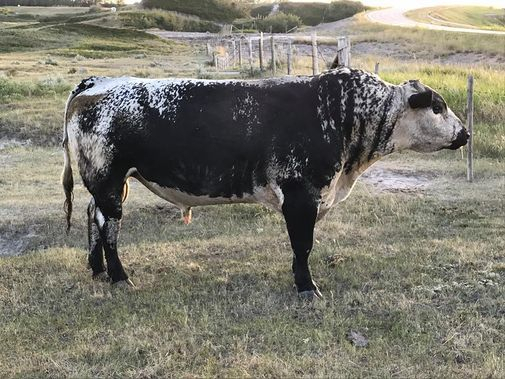 Ylander is a bull i raisied but purchase his dam pregnant with, he has produced us a great set of calves including many that have went on and started new herd for many producers. Sadly Ylander 7y in the spring of 2017 got injuried and was pulled from the breeding program so 2017 calves will be his last offsprings.